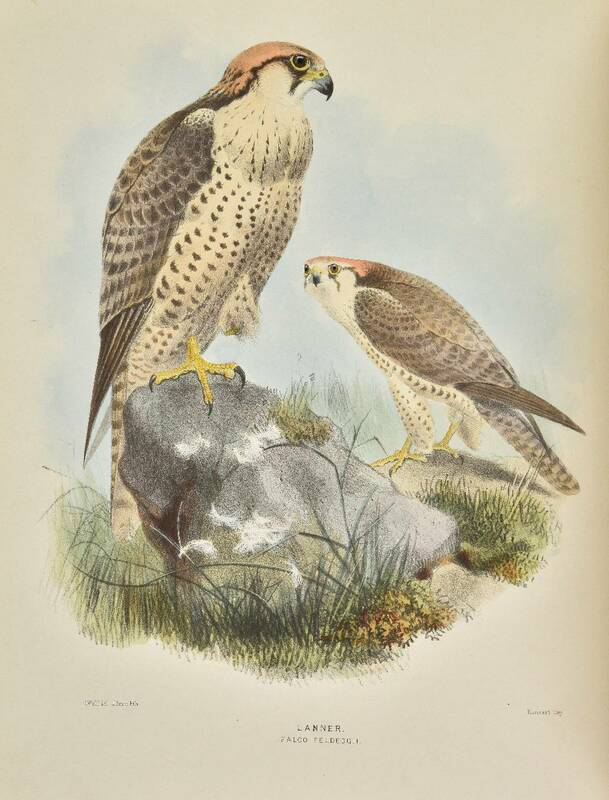 Anker 120 ('this monumental work'); Freeman 1055; Mullens & Swann p. 179 ('his monumental history of birds'); Nissen IVB 267; Sitwell p. 92; Wood p. 324 ('This magnficent treatise, beautifully illustrated'); Zimmer pp. 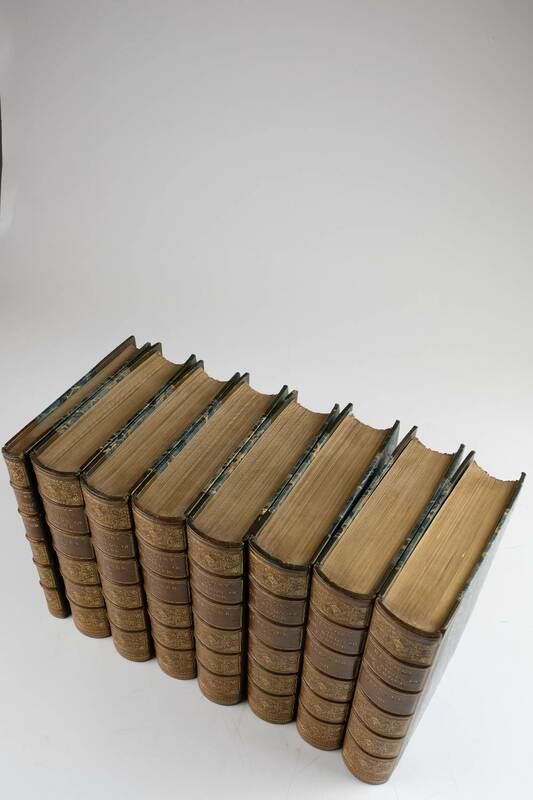 177-8 ('A very thorough manual of the subject'). 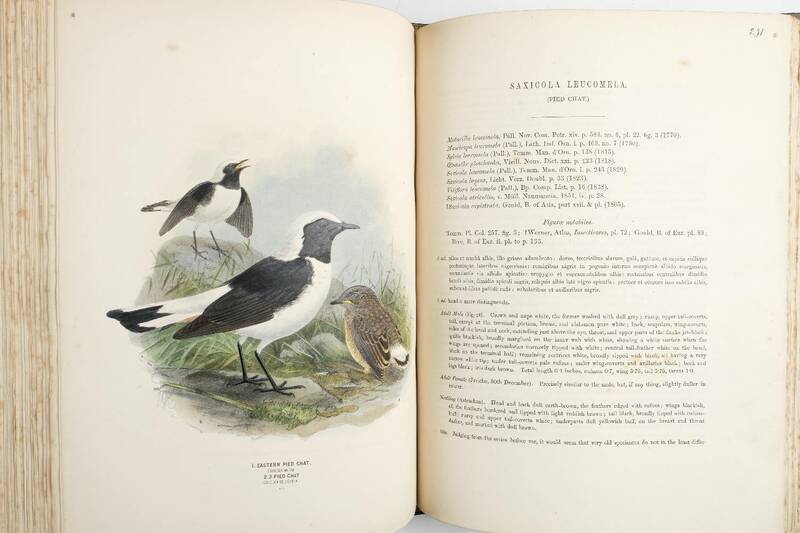 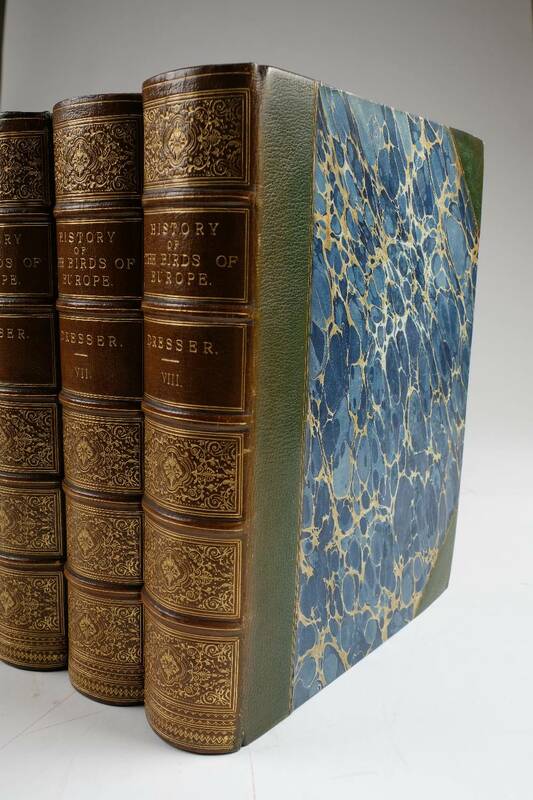 An attractive set of one of the great achievements of 19th-century ornithological publishing. 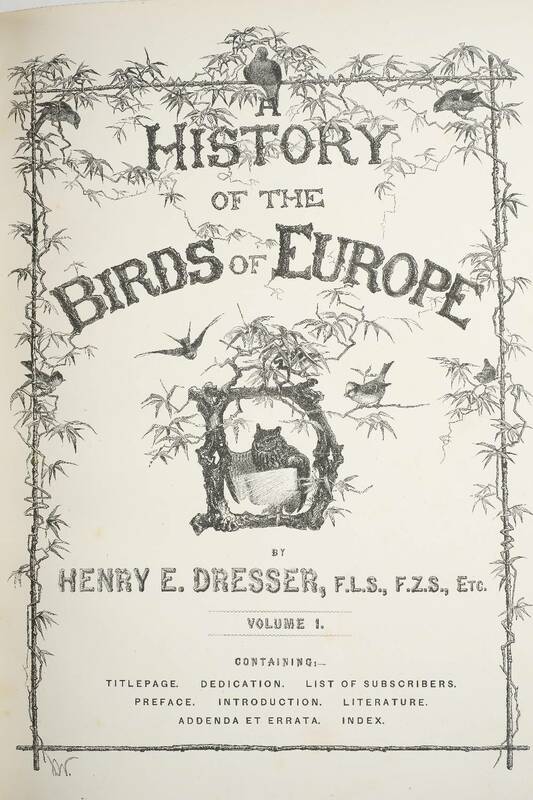 'From 1870 onwards, Dresser's collecting was directed towards one purpose: to review the bird species of Europe, including their distribution and variation around the world, in order to produce a great book, A History of the Birds of Europe. 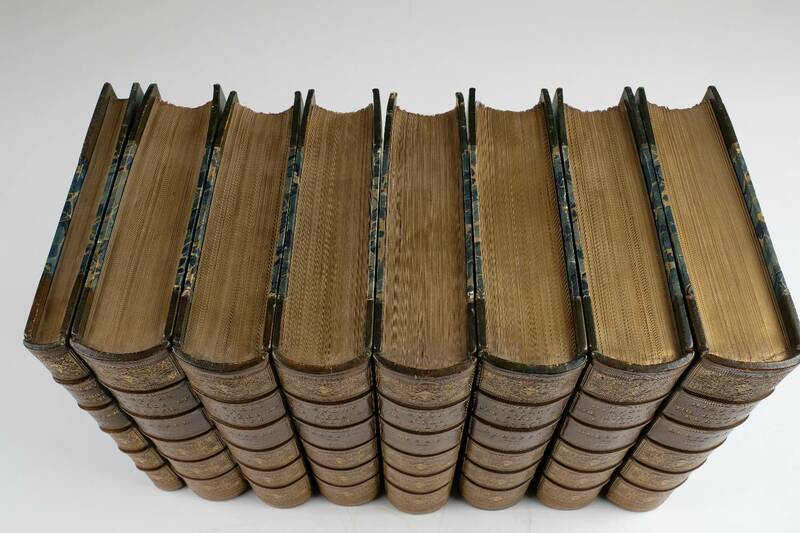 This collecting-publishing project was a mammoth undertaking: it took thirteen years to complete the eight large volumes, which were published between 1871 and 1882 ... 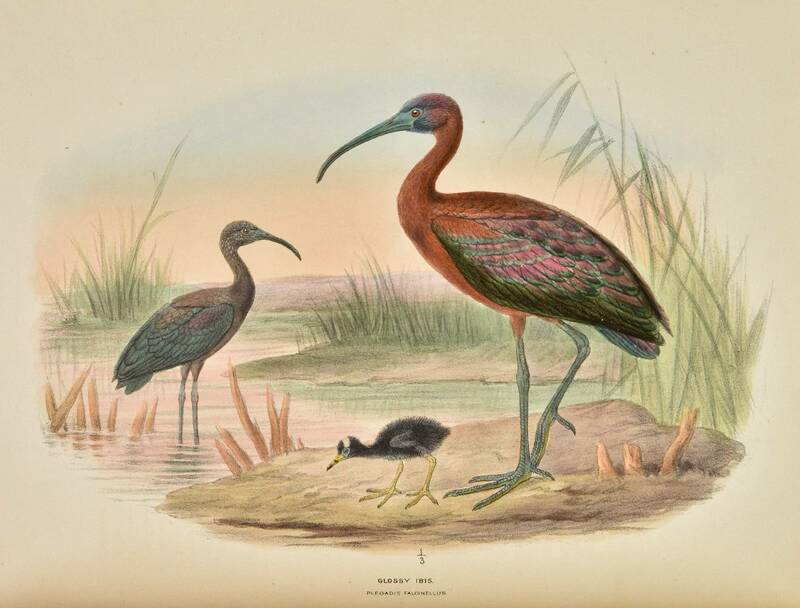 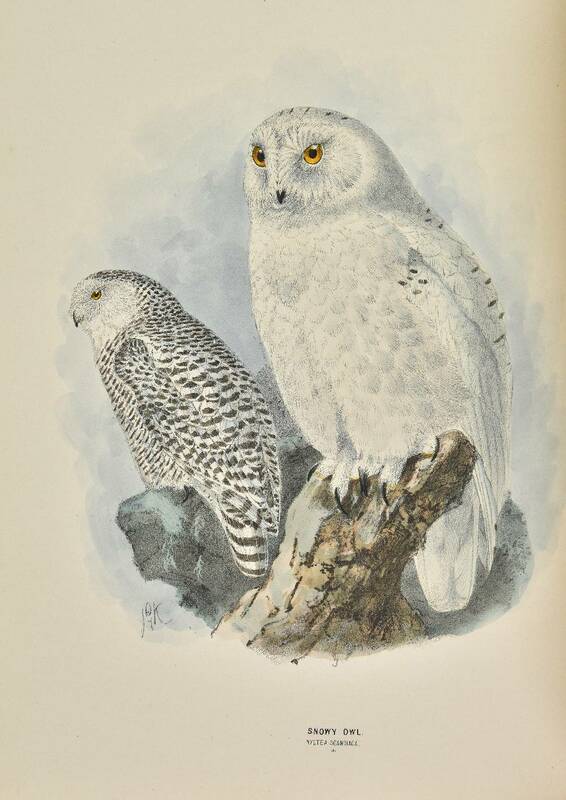 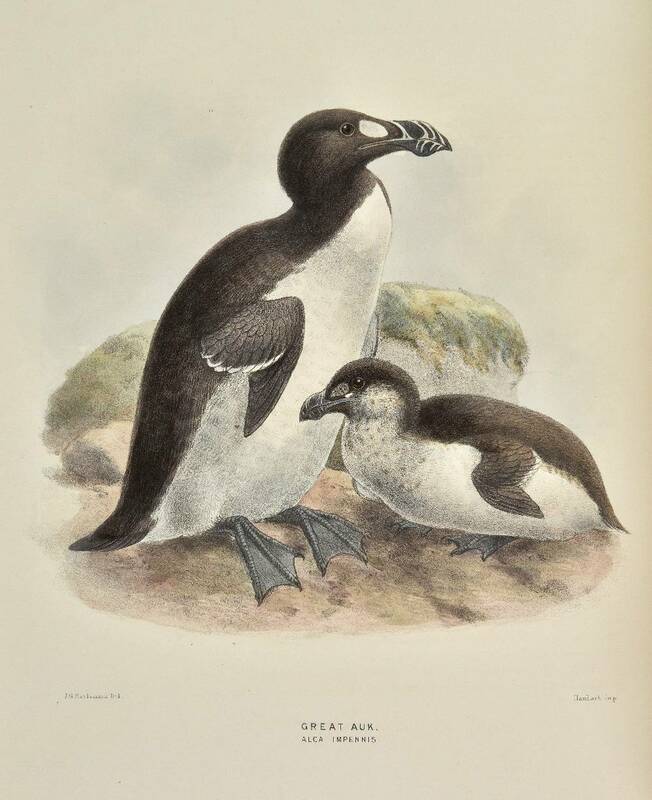 The book was to cover all the birds of Europe, the Azores, Canary Islands and Madeira, North Africa, the Urals, Caucasus, Turkey, Syria, part of Persia and across to the Red Sea. 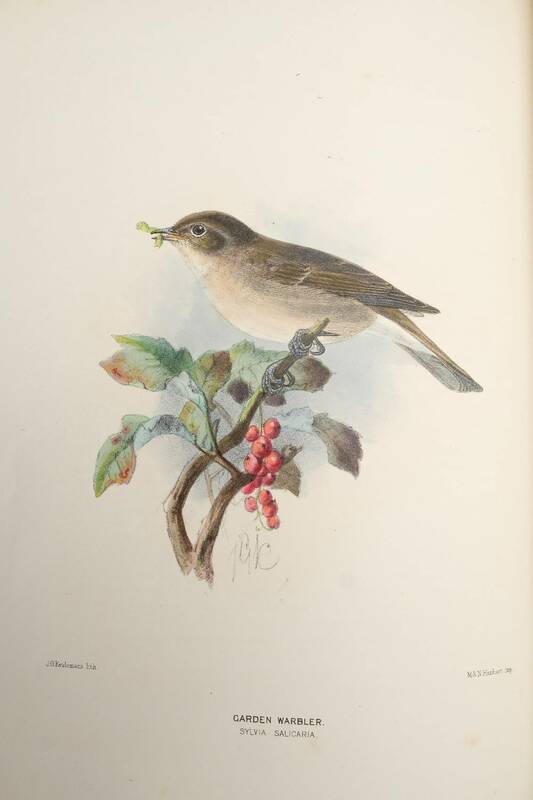 It was also to include American vagrants that had been reliably observed in the area' (McGhie, Henry Dresser and Victorian Ornithology: Birds, Books and Business, 2017, pp. 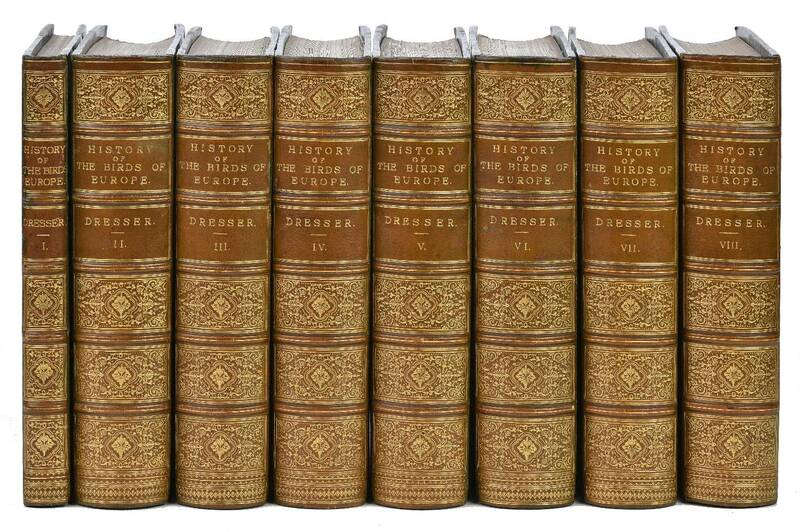 98-9).